Natural. Pure Essential Oils. With Vitamin E.
100% Pure Moisturizing Oil . Expeller-Pressed and Hexane-Free. Softens Fine Lines. Treats Dry Hair. Buy C.O. Bigelow Perfume Essential Oils - Base Oils (also called Carrier Oils) are vegetable oils that are used to dilute essential oils so that they can be applied safely to the skin. Combine these with your favorite essential oils to create a personal unique fragrance. 100% Pure Moisturizing Oil . Softens Fine Lines . Treats Dry Hair. Extraction Method: Cold Pressed, Refined. 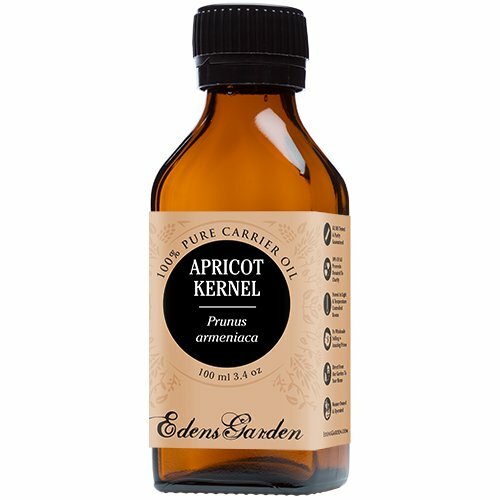 Description: Apricot Kernel Carrier Oil is good for all skin types. It is very rich and nourishing - particularly in vitamin A. Common Uses: Apricot Kernel Carrier Oil is a very popular oil and is suitable for manufacturers, aromatherapists and massage therapists. It is a universal carrier oil used throughout the food, nutritional supplement and cosmetic industries. Cosmetically, Apricot Kernel Oil is known to be an effective emollient as it is easily absorbed into the skin. The oil is known to help counteract and soothe skin conditions including itching, dryness and inflammation. The soaping industry knows Apricot Kernel Oil to condition and provide stable lather to soap formulas. Traditionally, this oil has been used in massage therapy to soften the skin.As a result of its higher concentration of essential fatty acids, bulk Apricot Kernel Oil is relatively stable therefore used in the food industry for dressings and other culinary applications. We are buying our oils from organic certified supplier, made from organic ingredients. Shelf Life: Apricot Oil is slow to go rancid; users can expect a shelf life of 1 Year with proper storage conditions (cool, out of direct sunlight). Your item(s) will be shipped the same business day or next business day of confirmation of payment if received by 3:00 pm PST. (not including weekends or holidays). When you receive your item and are pleased with our transaction, please let us know by leaving positive feedback, we will do the same for you in return. Look forward to do business with you, H&B OILS CENTER Co.
Beauty Aura 100% Pure Apricot Kernel Oil is highest-quality oil obtained through cold-pressing of the dried kernels of the fruit of the apricot tree. It is rich in vitamin A and E as well as Oleic (C18:1) and Linoleic (C18:2) essential fatty acids. Condition: Dry itchy skin & dull hair in need of simple natural moisturizing. Solution: The light texture of apricot kernel oil makes it useful in face serums, or mixtures of oils used to moisturize the face to help reduce wrinkles and brighten the complexion. It help counteract and soothe skin conditions including itchiness, dryness and inflammation. Regular massages may help reduce stress, pain and inflammation and instilling an overall sense of well-being. Apricot oil is readily absorbed without leaving a greasy residue Lightly apply to damp skin before toweling off and keep skin moisturized all day. The essential fatty acids present in apricot oil makes it a very good oil for hair care. Massaging scalp with some warm apricot oil stimulates the follicles and improves hair growth. Regular use help keep hair roots and strands well nourished and moisturized making hair soft and shiny. 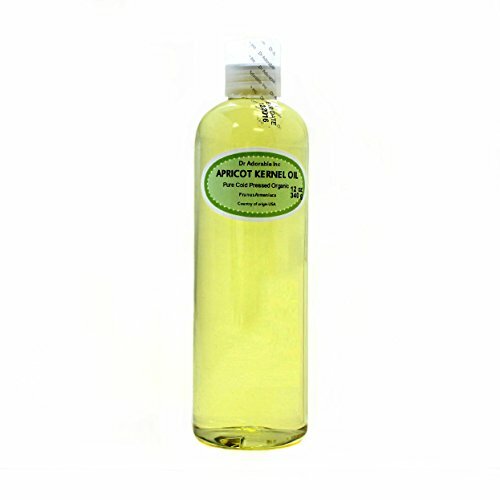 A classic, mild, semi-fatty oil which has been used for centuries. It spreads nicely, makes the skin soft, smooth and supple. 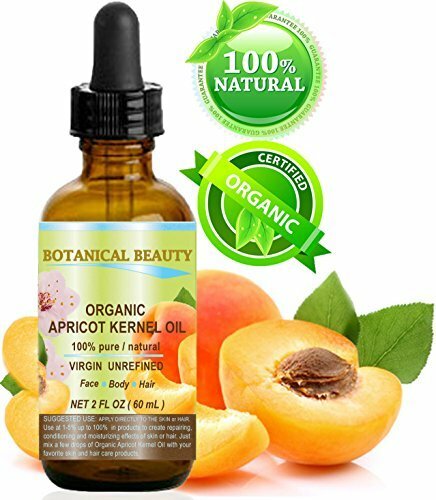 Organic Apricot Kernel Oil is one of the best natural skin moisturizers because of its lightness-it moisturizes dry skin without leaving it greasy. A healthy natural way to help reduce dry skin inflammation, redness and itchiness, almond oil is also an ideal moisturizer for those with psoriasis, eczema, and easily irritated skin. For aging skin, apricot kernel Oil organic is also a good way to tighten the skin and reduce the appearance of wrinkles, puffiness and under the eye shadows and darkness. Suitable for all skin types, it is a great aromatherapy carrier oil, massage oil or after bath oil. Botanical Name: Prunus armeniaca Extraction Method: Cold Pressed Ingredients: 100% Pure Apricot Kernel Oil Apricot kernel oil is a light oil that is similar to almond oil but more suitable for sensitive and prematurely aged skin. Our Apricot Kernel oil is a deep gold color and carries a very slight odor. The skin absorbs it well, which ensures that its medicinal properties transfer in full. It contains rich doses of Vitamin A and contains the same number of fatty acids as almond oil. Apricot kernel oil is a common component in body care products, including soap, massage and bath oils, massage bars and bath bombs. It is also commonly used in aromatherapy and massage therapy. Suitable for food consumption and cosmetic use. 100% Pure Moisturizing Oil Softens Fine Lines Treats Dry Hair Condition: Prematurely aged skin, irritated skin, or need for an all natural dry hair treatment. Solution: 100% Pure Apricot Oil is a rejuvenating natural oil that's ideal for softening fine lines and restoring a healthy glow to skin. Rich in essential fatty acids, this gentle oil has excellent restorative properties that promote soft, radiant hair and help to soothe irritated skin. Similar in structure and function to almond extracts, oils derived from apricot kernels will naturally nourish and moisturize your skin.